AIRAH company member Innotech Controls recently purchased three new manufacturing machines for its Brisbane-based production department. Two were for the surface mount department: a new screen printer at the beginning of the line, and a new reflow oven at the end of the line. The third, a selective soldering machine and nitrogen generator, replaced the old flow soldering machine. "We purchased this new equipment to improve our efficiency and manufacturing capabilities to assure we are at the forefront of developing a world-class product," says Innotech Controls director Virginia Miranda. "Over the 32-plus years in business, our PCBs have become more complex, with the newest PCBs having many hundreds of very small components on both sides of the board. Add to this the requirement to move to leadfree production to meet the RoHS compliance; we knew it was time for this upgrade. Miranda says that 10 years ago Innotech’s processes were simpler, the company used lead solder, and larger surface-mount electronic components. The lead solder had a much lower melting point, (about 183°C) and the oven had just five different temperature zones along its length. By 2016/17 the oven was working at its limit of temperature and output. The new oven has many more temperature zones, a much higher melting point, and is more accurate for the smaller components and finer pads in the firm’s new higher density designs. 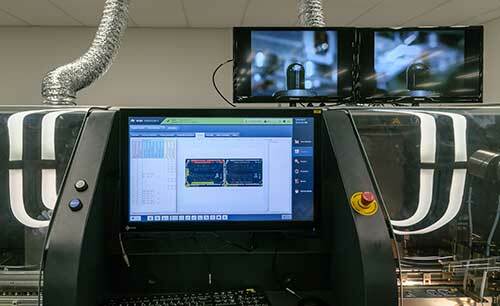 "The new selective soldering machine is robotic," the firm says. "This enables Innotech to machine-solder a number of our products that have surface mount components on both sides of the PCB. Previously we hand-soldered these. These new products were unable to go through our old wave-soldering machine, as the parts on the back of the PCBs would have been washed off by the wave." 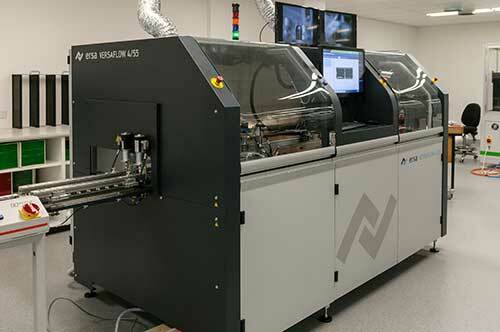 Innotech says the new selective soldering machine uses nitrogen to help create a "good-quality" solder joint. Nitrogen generators separate N2 molecules directly from the air we breathe. The air contains 79 per cent nitrogen, and nitrogen generators use simple, green technology to filter out the other gases, concentrating the nitrogen gas into a storage tank for process usage. This additional investment was approximately $1 million, which takes into account the cost of new machinery, down-time, and changes to the production facility to accommodate the machinery. "Why other firms don’t manufacture in Australia, we can’t really say," Miranda says. "The cost to manufacture, wages, rules and regulations? 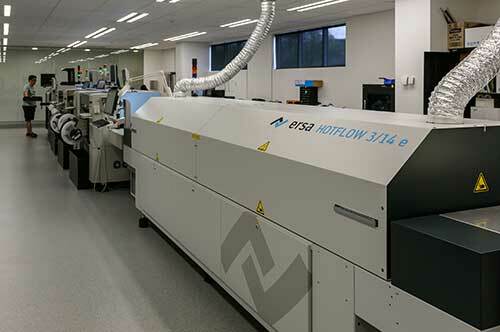 For Mass Electronics/Innotech it has always been about keeping our products Australian made, and employing Australians. "We are proud of our manufacturing facility. We strive to ensure our products are at the forefront of our industry, they offer unique benefits with a point of difference, and are innovative. This is how we remain competitive: always offer something others don’t have. "By manufacturing in Australia we are in control of every aspect of the manufacturing process, from research and development to design, sales and distribution. This is all done under one roof. "Our quality control is exceptional. By using the latest manufacturing techniques, we can optimise processes to ensure we are competitive on the global stage. Our business is managed tightly with none of the superfluous managers or departments found in multinational businesses. What we do have is a highly skilled and extremely valued team who are efficient and passionate, through every department." 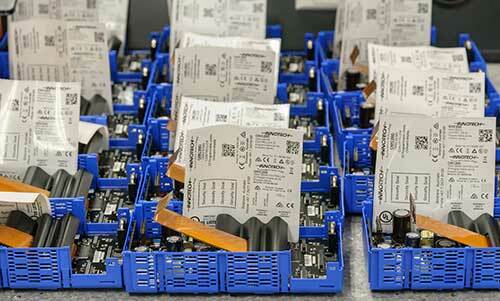 It's Official – Innotech's Omni BEMS Controller is Here!